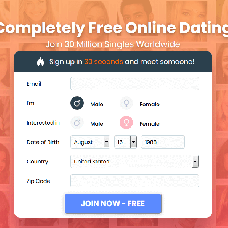 If you want to try a free dating site, then Mingle2.com might be the dating site for you. It takes 30 seconds to create an account and start searching for a match. But what Mingle 2 makes up for with a speedy membership signup process, it can lead to a lot of empty-looking profiles, as well as sparse-looking search results list. They also have ads running down the side, which at times can be confusing since they can also look like a profile you can click on to view (which then just brings you to another dating site). Another problem with a dating site that has only a minimal profile is that it may skew members’ relationship types towards the casual relationship or hook-up. The reason for this is because more emphasis is placed on profile photos than on profile information. Mingle 2 does offer all the tools needed for online dating. You have a competent email system and instant messenger. Searching, while easy, does leave room for improvement. Allowing members to filter on activity would help as well as offering more search options. Mingle2 is a free dating site, but members can subscribe to have their profile highlighted and appear first in the search results. The side effect of this I found was I would always see the same profiles on the first few pages of my searches (unless each search used completely different criteria). This will create frustration for users who wish to tweak their search settings to bring up better matches. Mingle2.com seems to be most popular in the United States with an equal number of members in all age groups. Our team’s recommendation is, if you are NOT looking for a long-term relationship, then give this dating site a try. Sign up and do a quick check to find out if there are members living in your area.